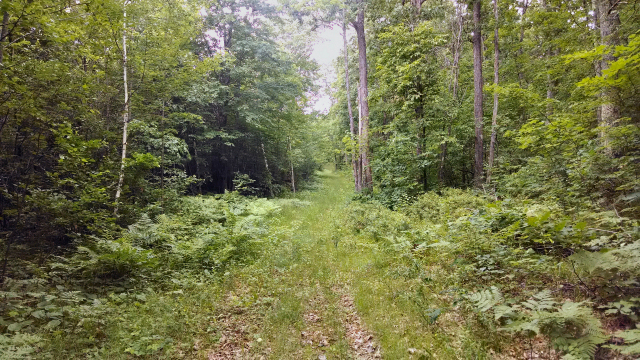 The northwest Wisconsin county of Washburn has an extensive system of groomed trails for both ATVs and snowmobiles. Visit this link for more info and excellent trail maps: Minong Trails Club. 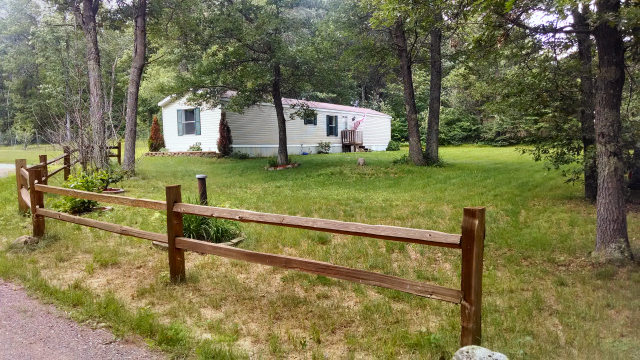 If you are a snowmobile or ATV enthusiast, I have the recreational property for you! 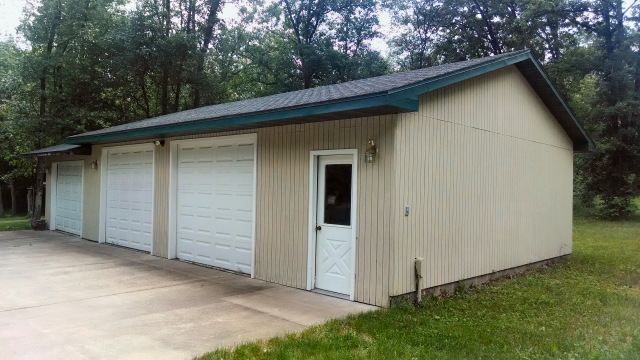 Your new adventure getaway is at 9847N Tranus Lake Road, in Springbrook, Wisconsin. Tranus Lake Road is off of Hwy F, which is off of Hwy 63 South, towards Trego, about 15 minutes from Hayward. 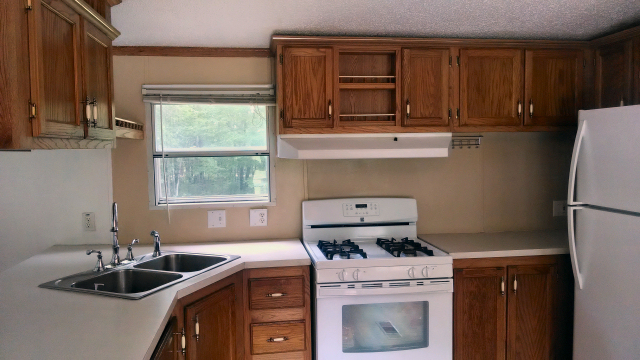 Here you’ll find a comfortable manufactured home situated on 5 acres with trails through the heavily wooded back lot that lead right to ATV/Snowmobile trails at the rear of your property! The summer ATV route is right on Tranus Lake Road too, so we’ve got you covered for easy access to trails all year long. The home has three bedrooms, and two full baths, an open kitchen with newer flooring, appliances and a spacious living area with a window AC. Laundry hookups are in the back hallway – bring your own machines though. 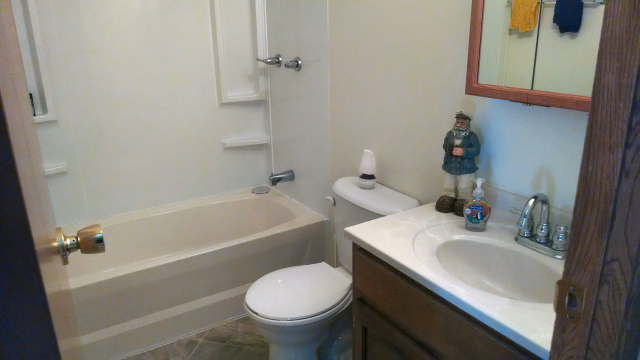 Upgrades include newer carpeting throughout, freshly painted, newer modern light fixtures and faucets, and newer water heater. Bring your woodburner for the livingroom – the sellers have venting installed but just didn’t finish it off with a woodburner. The detached, wood-heated, three car garage gives you all the space you need to store and maintain all your toys and vehicles! The yard is rich with many apple and fruit trees and your privacy is assured with the ample tree lines bordering your property. The conventional septic is fairly new and was recently pumped and found in fine working condition, and you have your own well. Tranus Lake is at the end of the road and offers wilderness viewing, hiking, boating and more. 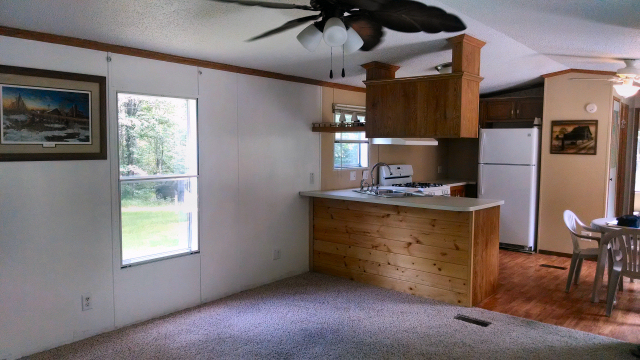 This is a must-see property for the outdoor enthusiast, and at an excellent price! Contact me today to set up a time to tour this property. This entry was posted in Cabins For Sale Hayward, FEATURED PROPERTIES, Homes For Sale Hayward, in the woods, Snowmobiling, wooded cabins and tagged 9847N tranus Lake Rd Springbrook WI, area north realty, atv property for sale hayward, cathy lareau realtor, home for sale near atv trails wi, home with acreage for sale hayward wi, northern wi real estate, northwest wi recreational home for sale, recreation property for sale hayward wi, snowmobile property for sale hayward, stony brook atv trail. Bookmark the permalink.